The ever so emblematic and fear-inducing Housing Development Board Mobile Enforcement Vehicles have continued to haunt many of us who may have taken a few chances with them – taking up season parking lots without valid parking passes. To aid in your understanding, we have gathered as much information about the HDB MEVs for your sake. 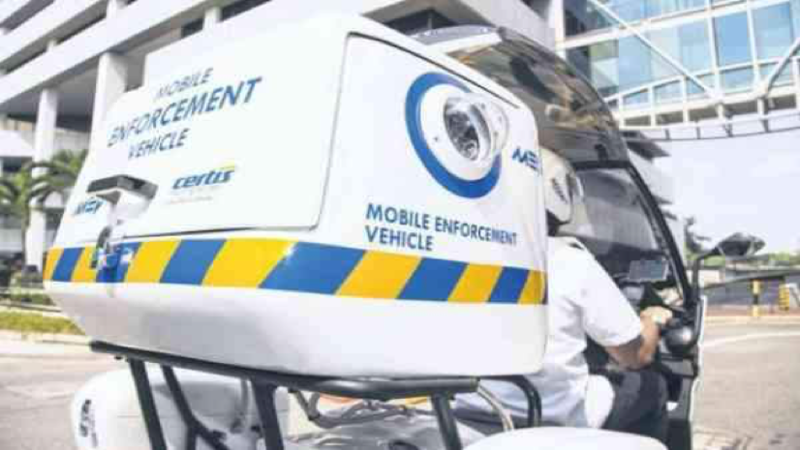 Mobile Enforcement Vehicles, or MEVs for short – They are HDB contracted personals who are operating under Certis Cisco. Little did you know, the big box sitting at the back of the vehicle houses the entire MEV system, including the integrated cameras that recognise vehicle registration plates and lights. Purpose: To scan for non-season parkers parked in reserved lots and passing out fines against them for the relevant offences. The primary power of MEV can be attributed to that big white box. When the MEV system seeks out a potential offender, it will notify the rider who will then dismount the bike and conduct a second validation check on the vehicle. If proven true, the LTA officer will issue a parking summon on the spot with their handheld device and clamping it onto the windscreen. Even in the dark, they are as fearful due to the assistive lights equipped to improve the visibility of the cameras to scan the respective vehicle registration plates. Location: MEV operates solely at HDB parking enforcement- surfaces, basement car parks and MSCPs. The routes and frequency are hush-hush to the public, so don't try gaming the system. Are Traffic Wardens not enough? Essentially, MEV saves manpower costs and is more efficient. With MEV, LTA need not employ as much parking wardens. Moreover, the MEV is able to patrol more car parks throughout the day and reducing the need for the ever so labor-intensive manual scanning and checking. What other authorities do they have? Despite the primary purpose to check for non-season parkers found in reserved lots during the restricted hours, the MEV personals are licensed to much more than that. If they detect any parking infringement, they do have the authority to fine as well. What is the range of parking fines? The range of composition amount is $50-$200. With MEVs omnipresent in our little red dot, the lesson to learn here is to Park Legally At All Times and Be A Considerable Driver To Others.